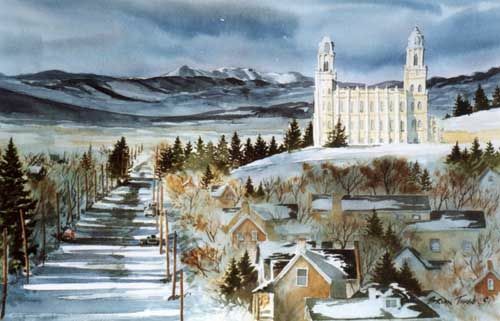 Helen Amelia Whiting Buchanan states that when the weather warmed during their first spring in Manti, what happened, to the horror of the Saints? From the 1839 mission to England: The missionaries were interested in public affairs, as well. On March 13, 1840, John Taylor went with Joseph Fielding to hear a lecture on the so-called Opium War with China. The war had begun as a result of China’s efforts to keep opium out of the country and to expel British merchants who persisted in importing it. Fiercely opposed to the war, the irate speaker proclaimed that China had a right to keep the drug out and that the British were guilty of all manner of corruption. Fielding and Taylor were “well satisfied with the Lecture.” The spirt of the address, wrote Fielding, “Is that the Pagan Chinese have far more noble Principals than the Christians, so called, who will grow or sell anything, even [the] Souls of Men for Gain. . . . The Americans have protested against the Conduct of the British in attempting to blockade, etc. I pray God to turn all these things to his own Glory and that Truth may triumph.” Three weeks later the two missionaries went to hear a lecture on socialism, another controversial topic of the day. Men With a Mission 1837-1841, James B. Allen et. al, (Deseret Book, Salt Lake City, Utah: 1992), 97-98.